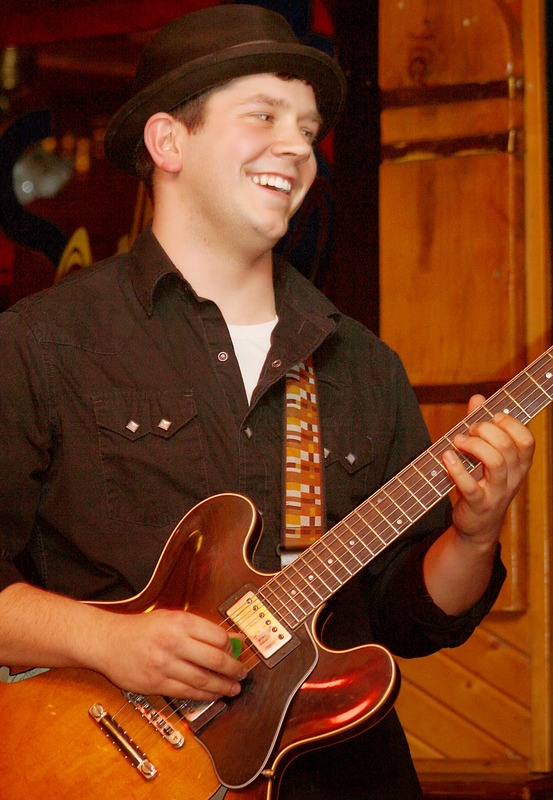 Catch the new lineup of the Rusty Wright Band tonight (Jan. 24) at Callahan's Music Hall in Auburn Hills. Laurie Lacross-Wright, who fronts the band along with her husband Rusty, reports that the band has spent the last few months "hibernating" and rehearsing with new band members Marc Friedman (drums) and Robert Manzitti (keys/vocals). Both come from a Summer of Love tribute band called Magic Bus. Dennis Bellinger (bass/vocals), who has been with the band since June of 2012, completes the lineup. Lacross-Wright said she's more than pleased with the band's progress. "Very seldom do I recall laughing out loud during rehearsal because something sounds so good and so right, and we're all doing it at least once every session." The band will also debut a few tunes from its upcoming recording. Doors open at 6:30. Admission is $10. On Saturday, Callahan's hosts singer Shaun Murphy, who is celebrating the release of her new CD, "Cry of Love." Murphy, longtime singer with Little Feat, has worked with artists ranging from Eric Clapton to Bob Seger. Tickets are also on sale now for Jimmie Vaughan with the Tilt-A-Whirl Band featuring Lou Ann Barton on May 7. The Bud Light Ferndale Blues & Music Festival kicks off tonight. Over 10 days, there will be more than 60 concerts and events at nearly two dozen locations. Best of all, donations help two local non-profit organizations: Ferndale Youth Assistance and the Michigan AIDS Coalition. Looking to see some of Detroit’s top blues performers? Tonight (Jan. 24), catch Luther “Badman” Keith at Buffalo Wild Wings, Erich Goebel and the Flying Crowbars at One-Eyed Bettys, or Lady Champagne & the Motor City Blues Crew at Rosie O’Grady’s. On Saturday, Howard Glazer will be at Dino’s. At One-Eyed Bettys, catch young guitarist John Rhoades on Sunday, harmonica player/vocalist Dale Robertson and guitarist Dan Dekuyper on Tuesday, Broken Arrow Blues Band on Wednesday, guitarist/vocalist Brett Lucas on Thursday, and the Bobby Murray Band on Saturday, Feb. 1. The festival offers more than blues. Longtime favorites the Howling Diablos bring their blend of funk and rock to Dino’s tonight; The Reefermen rock Bosco on Thursday and Dino’s on Saturday, Feb. 1; blues/rock chanteuse Eliza Neals sings at the New Way Bar on Friday, Jan. 31, and rockers The Muggs headline at the BBQ Rib Burn Out VII Tent on Saturday, Feb. 1. A complete music schedule can be found at Ferndalebluesfestival.org. A fundraiser for the band The Social Bandits, winners of the Detroit Blues Society’s 2013 Youth Challenge, will be held at 8 p.m. Sunday at Classic Lanes, 2145 Avon Industrial in Rochester Hills. All proceeds from the event -- which includes music by The Social Bandits, The Deals (the winners of the 2012 Detroit Blues Society Youth Challenge) and Painting Cows -- will go toward assisting The Social Bandits with expenses when they represent the Detroit Blues Society at the International Blues Challenge Youth Showcase in Memphis. The International Blues Challenge begins Tuesday and runs through Jan. 25. Members of the band include Jesse Medawar (vocals/guitar), Jared Bentley (lead guitar), Brad Rude (bass), and Dylan Walsh (drums). Admission to the fundraiser is $10 at the door and includes four hours of bowling. Shoe rental will be 50 cents. Admission is $5 for non-bowlers. The DBS is seeking teen bands to enter the 2014 Detroit Blues Society Youth Challenge on Aug. 10 at Classic Lanes. The contest is free to enter and the winning band will represent Detroit at the 2015 IBC. Bands wishing to enter the contest can contact Cherie Lowe at Hillbird@comcast.net. Next month, The Social Bandits headline an EP release party and benefit for Mittens for Detroit. The event is slated to start at 8 p.m. on Feb. 15 at Small’s in Hamtramck. Advance tickets are available for $8 at smallsbardetroit.com, or $10 at the door. A silent auction will benefit Mittens for Detroit. Also performing will be the bands Dream Version and Brae. A donation of a pair of new, unused mittens or gloves nets you a free CD from all the bands. For more info, click www.mittensfordetroit.org. Blues guitarist and band leader Bobby Murray leads his band in performance at 7 p.m. Tuesday, Jan. 14, at the Plymouth Elks Club, 41700 Plymouth Road (734-453-1780). The club is one mile west of I-275. Admission is a $5 donation. The Bobby Murray Band featuring Lenny Watkins will also perform Friday and Saturday at the Blue Goose in St. Clair Shores. Murray performed as a member of the Tosha Owens Band that hosted last Saturday’s Detroit Blues Society Meeting and Jam at the Cooley Lake Inn, where Lifetime Achievement Awards went out to guitarist Jim McCarty and the late piano player Big Maceo Merriweather. “It was really nice,” reported Murray, a longtime member of the late Etta James' band, who received the DBS Lifetime Achievement Award in 2010. “The place was packed, Jim was great, and the jammers were great. To see more on "I'm Sticking With You," click here. 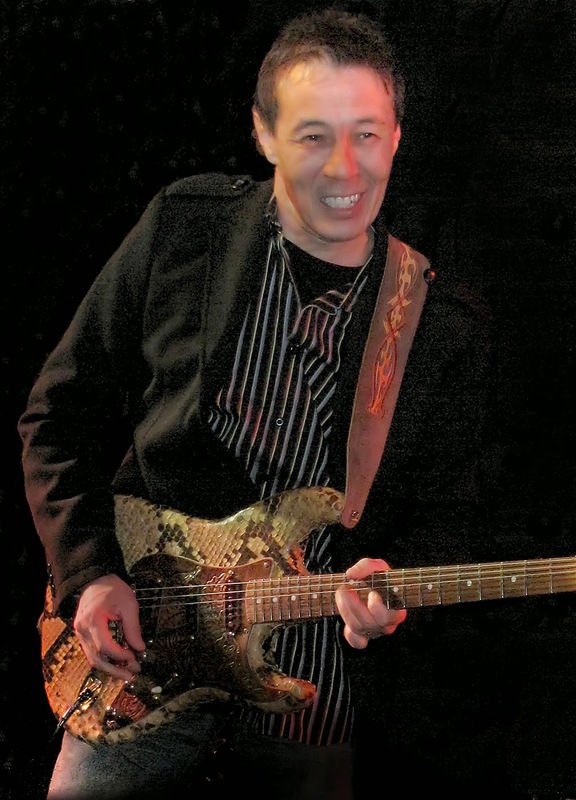 With bands including Mitch Ryder and the Detroit Wheels, Cactus, and The Rockets, Jim McCarty gained international fame as a rock ‘n’ roll guitarist. With the Detroit Blues Band and his current group Mystery Train, McCarty has earned renown as a blues artist. Who would have thought that the roots of his musical career are in jazz? “My old man (the late James McCarty) was a drummer in the big band days,” explained McCarty, who will be honored with a Lifetime Achievement Award from the Detroit Blues Society (along with the late piano player Big Maceo Merriweather) at the group’s monthly meeting and jam on Saturday. “I grew up listening to jazz, all the Blue Note and be-bop stuff – Miles Davis, Wes Montgomery and Kenny Burrell. A chance purchase turned McCarty into a devotee of the blues. McCarty, 68, who recorded with Jimi Hendrix and Bob Seger, says he always had both rock ‘n’ roll and blues in his soul. After The Rockets broke up, in the late 1980s McCarty joined the Detroit Blues Band. Other band members at that time were Emmanuel X. Garza (vocals/guitar), Bob Rabut (harmonica), the late Billy Landless (bass) and Tommy “T-Bone” Wagner (drums). McCarty and the band recorded two albums, “Real Life” (Blues Factory) and “Can’t Get You Off My Mind” (No Cover). “When The Rockets ended I made a conscious decision to play the blues,” McCarty said. “With The Rockets, the mindset was always to get a big (rock ‘n’ roll) hit record and have a blues project on the side. After an eight-year stint with the Detroit Blues Band, McCarty formed his band Mystery Train. The band, which includes both McCarty and Rick Stel on vocals and guitar, bassist Marvin Conrad, and several musicians including McCarty’s son Dylan on drums, has been together for about 18 years. “We played with Willie every Sunday at The Firehouse,” McCarty said. “Mike Boulan (of No Cover Records) was running sound and recorded it. Willie didn’t even know it, and I don’t think I did either. 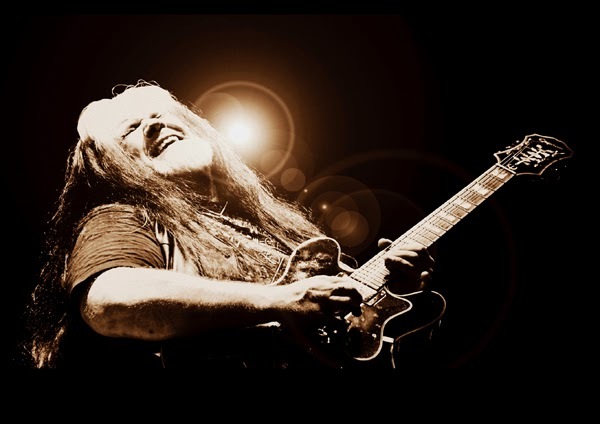 “After the gig ended, Mike told me ‘I think you should listen to it.’ What was great about that recording is it caught Willie right before his health started failing him. McCarty is still actively playing music and tearing it up. In 2011, he released “Jim McCarty & Friends” (Cally’s Records and Tapes), a collection of 12 songs recorded live at Callahan’s Music Hall over a three-year period. Each tune features McCarty in impromptu jams with the likes of Duke Robillard, Jason Ricci, Jimmy Thackery and John Nemeth. It demonstrates McCarty’s ability to excel in a variety of blues styles. 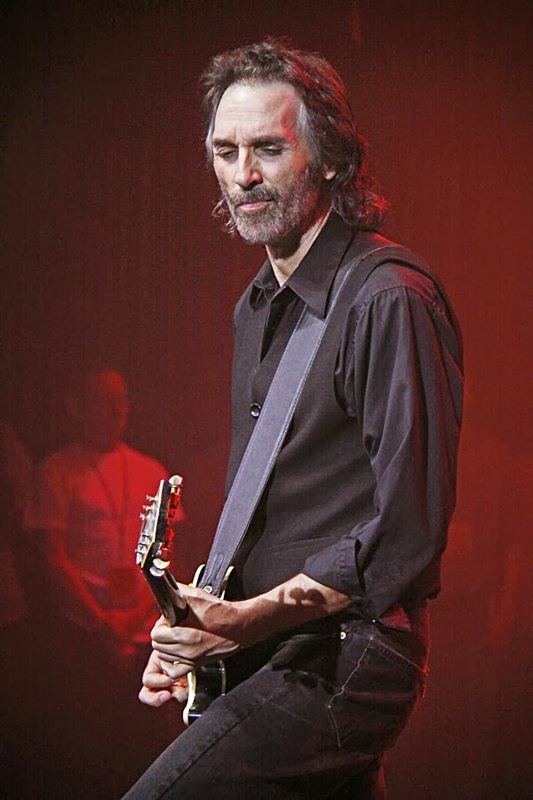 Late in 2013, he released “Jim McCarty and Mystery Train Live,” which is available on iTunes and CD Baby. Joining the band on the recording was harmonica player Kenny Welk. McCarty loves the CD and especially credits the playing of his son Dylan, 40. “He’s right in the pocket and just nails it. The Detroit Blues Society monthly meeting and jam starts at 9 p.m. Saturday, Jan. 11, at Cooley Lake Inn, 8635 Cooley Lake Road, Commerce Township. Hosting will be the Tosha Owens Band. There’s no cover charge.